I just started putting together a book/e-book/resource about how to use Evernote in Church Ministry. The book will help pastors, assistants, associates, etc. 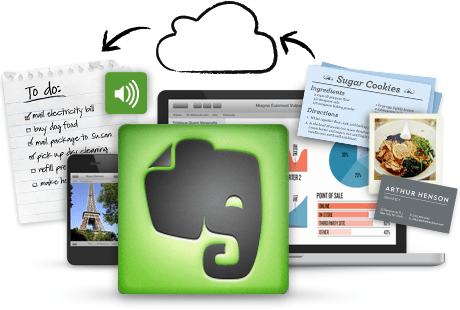 who work in a team or a solo environment to leverage the power and usefulness of Evernote. From visits to prayer requests to counseling to trips and conferences, this resource has great ideas along with great explanations to increase your efficiency and productivity. What would you like to see in an Evernote resource for ministers? Comment in the area below. Here are some screenshots showing my process for gathering everything I need for our state’s association meeting. By placing this in Evernote, I will have my directions for my phone’s GPS, the times of all the events, my directions to my dinner meeting, and all the event handouts. In just a few minutes, I have my Maps (which on my smartphone become live links for my navigation program), all the printouts and information for my hotel, and I can add anything else I receive to this note. In short, my phone and tablet will have all the right information with no papers to track. Two more items that I will use at this meeting and at most conferences while it is ongoing. 2. I will normally have one note ready to take down outlines, make a note to call someone, send a card, etc. This allows me to have something other than my memory to help make the meeting more profitable. Also, for the last several years, I have tried to give a short report to the church where I serve concerning the church planting that is ongoing in North Carolina. Evernote makes this a piece of cake as I am taking down facts and information while I am there so there is no problem with recall. Finally, any papers, handouts, sales flyers, etc. will hopefully be scanned when I return if needed. If the contact information or the book title was all that was required, I can type that in or just take a photo. An almost paper free conference with everything I need on my laptop, tablet, or phone.